This has been an interesting year for me in terms keeping up with the blog. I've done a lot of thinking about what I want to share and what I don't/can't share. I have had to check myself about needing to be sensitive to Jeff's job and not jeopardize his safety or our safety. I've also gotten a weird email or two that's made me back off on personal posts or posts about my kids. But I love writing and I love this blog and I know a lot of people that like reading it to stay in touch with our family. Or, you know, just to see how fabulous I truly am. This blog won't be going away anytime soon, I just felt a desire to clarify why my posts have been less frequent. But I am excited to share this post. Since Jeff joined the Army full-time and began his training with them, we have anxiously been waiting for our first family commitment together on a post. That got sidetracked when we found out Jeff would be going to South Korea for the year right after he graduated from BOLC. Then the boys and I picked up from our roots and moved down to Arizona, where we have been anxious to hear any news about out next home. So we have been waiting...and waiting...and then they told us Jeff was going to be in South Korea longer...so we waited some more...and then they told us he would be coming home in June as expected...so we waited...and waited...until FINALLY we were informed of our next move. 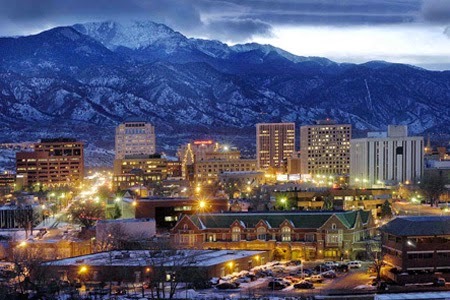 Fort Carson in Colorado is calling our family back to the mountains. We are excited and nervous for this next journey. It has been a whirlwind of a year. A wonderful year. A tough year. We have found how blessed we are on so many different levels. We find ourselves very ready to head into this next chapter and are anxiously counting down the days until Jeff is reunited with his family. We will be spending lots of time together. Lots of time this summer in Montana (people get ready!) and then we will settle into our new home. Right now we've just been looking at schools and housing online. It looks like my Mom and I could be making a trip to that area sometime in May to try and nail a school and a house down so we can quickly get settled and then continue enjoying our reunion once Jeff is back. I've been looking at pictures and the different sites that show things to do in the area and just doing that makes me giddy with excitement at all the fun stuff we're going to be doing! Oh wow. That is awesome. Nestled right between Az and Mt. I am so excited that you get to unite again with Jeff as a family soon. Been praying for you all.